Retirement Professionals are a specialist ‘At Retirement’ intermediary committed to helping our customers make the most of their pension savings, which is of paramount importance when deciding which route to take at retirement. 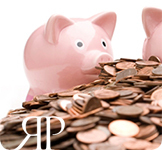 Our hassle-free service offers you guidance and support which enables you to make the right financial decisions. From helping you select the right retirement income product, to securing you the highest annuity income from the whole of the UK annuity market. Our research includes providers who offer enhanced annuities. These can potentially offer you an even higher level of income based upon your lifestyle and medical history. The minefield that is pensions can be a confusing place. However our consultants will provide you all the information you need to help you make an informed decision. 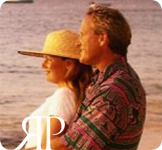 Retirement Professionals are committed to delivering the highest levels of customer service. We put you and your needs at the heart of everything we do. Our employees are well trained, highly motivated and dedicated to achieving the best results for you. Honesty, integrity and a commitment to go that extra mile are typical qualities of everyone within Retirement Professionals. Our employees receive industry expected training throughout their career and enjoy the support and encouragement of experienced management. Above all, everyone at Retirement Professionals has energy, enthusiasm, drive and determination. Your retirement is our business! Call now to see how one of our Consultants can help you maximize your income in retirement. Retirement Professionals Ltd is an appointed representative of pi financial ltd which is authorised and regulated by the Financial Conduct Authority (FCA). You can view the FCA Register by clicking here.